Here at Dennis Dillon Chrysler Dodge Jeep Ram in Caldwell, ID, we’re happy to offer 84 used vehicles for sale. Whether you’re looking to head into Nampa, or you’re looking for a commuter from Boise to Twin Falls, the inexpensive used vehicles for sale here will surely fit the bill. Before you visit us to pick up your next used vehicle, it’s smart to create a used vehicle checklist. Creating a used vehicle checklist will ensure that you’re getting the most mileage on your next used car. After you’ve decided on what to look for, explore our inventory below, or take a peek at our used vehicle specials. It helps to have a partner like Dennis Dillon Chrysler Dodge Jeep RAM in Caldwell, ID. Why? Because we pride ourselves on being a resource for Nampa drivers throughout the buying journey. Not only do we stock a huge inventory to choose from, but our knowledgeable service and maintenance experts can help you after you leave the lot. 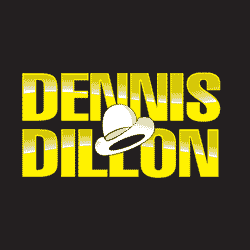 Best of all, we offer the Dennis Dillon Price Beater Guarantee to keep your investment affordable. Stop in anytime, or contact us today for more information.